-If you read our last post, 7 Proven Ways to Convert Ad Leads into Paying Customers, you now know what to do with leads once they arrive on your website. In this post we want to focus on how to increase traffic through digital channels. It is safe to say that the majority of modern marketing campaigns take an integrated, cross-channel approach. Today, consumers are constantly bombarded with messages from multiple channels and are consuming media through simultaneous touch points. The millennial generation spends on average, 18 hours a day consuming media from different channels including social media, television and user generated content like online blogs. It is imperative to catch consumers at each step to make sure your message sticks as they move through the purchase funnel. So why is cross-channel marketing so important? Well, your potential customers could be anywhere- and you need to be where they are. According to Mashable, 72% of consumers prefer an integrated marketing approach when it comes to engaging and interacting with campaigns. In Experian’s 2014 Digital Marketer report, it was stated that 80% of all marketers worldwide reported that they would be running a cross-channel campaign in 2015. If you are not integrating a cross-channel marketing strategy into your campaigns, there is a high chance that your competitor’s are. Here are some steps to help you diversify your digital mix for a stronger cross-channel strategy. 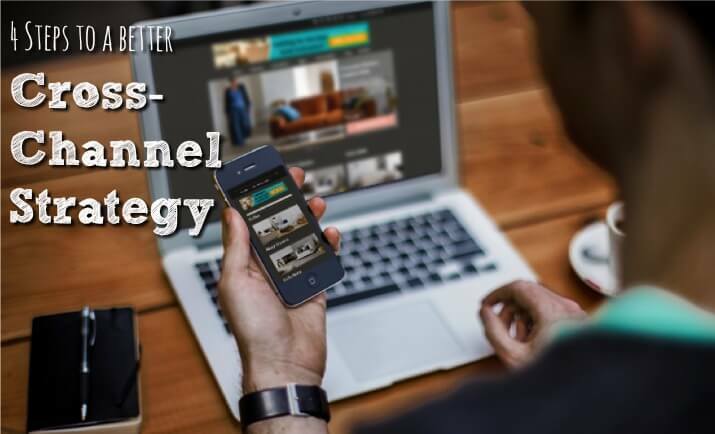 The first step when developing a cross-channel strategy is to investigate and understand what digital channels your consumers are using and how they are engaging with each channel. You can use both first- and third-party data to get to know their habits. An increasing number of marketers and brands are testing different digital channels in correspondence with segments of their target audiences. In a recent survey done by Experian, it was found that “25% of brands are segmenting based upon past activities / behaviors rather than across simple demographic lines.” From these tests, marketers are able to identify the highest converting digital channels for their target audiences. Don’t just push out content, propel sharing and engagement through paid promotions. Incorporating content your business generates (blogs, e-books, white papers, infographics, and videos) with your paid digital media strategy on search, display, mobile, video, and social can amplify the effects of your campaigns. Having these two strategies work hand in hand can increase engagement while providing value to your customers. To increase conversions, map out your content to address each stage of the buying cycle then promote it on the appropriate paid channels. The key to a successful cross-channel marketing strategy is leveraging the data that can be yielded from each channel. According to Salesforce, “marketers need to be able to collect data that helps them not only to understand the performance of various aspects of their campaigns, but also to better tailor the campaign itself-that is, to get the right content to the right person at the right time based on where the buyer is on his or her “buyer’s journey.” One of the best ways to accomplish this is by monitoring all of your search, social, display, mobile and video performance metrics in real time. We want to hear from you! How are you currently employing a cross-channel strategy?